Under contract with the SMOS team, we have developed various visualization tools of the SMOS satellite. Most of them are in 3D, some of them are dynamic, others are responsive and a couple of them are public. ESA’s Soil Moisture and Ocean Salinity (SMOS) mission is dedicated to making global observations of soil moisture over land and salinity over oceans. Although other uses have recently been found, the main reason for measuring this two physical quantities is to achieve a further understanding of Earth’s water cycle. Moisture is an important aspect of climate and influences plants’ growth and ecosystems’ distribution about Earth. Salinity determines the thermohaline ocean circulation and regulates the CO2 uptake and release, therefore it has a great impact on the carbon and water cycles too. Detailed monitoring of soil moisture and ocean salinity around Earth will provide us with a better understanding of the water cycle and will help us to develop more accurate weather forecasting models. Moreover, SMOS data can be used by farmers all over the world to increase plantations efficiency. 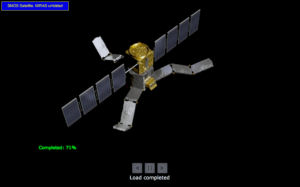 Under contract with the SMOS team, we have developed various visualization tools of the SMOS satellite. Most of them are in 3D, some of them are dynamic, others are responsive and a couple of them are public. You may enjoy these last two tools by clicking on the images below, as they are available at astronomos.es. 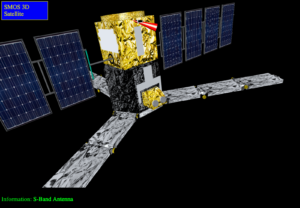 The first one is an interactive 3D environment that shows the SMOS satellite and allows the user to zoom in and out, move around, and check what each part of the satellite it’s pointing to. 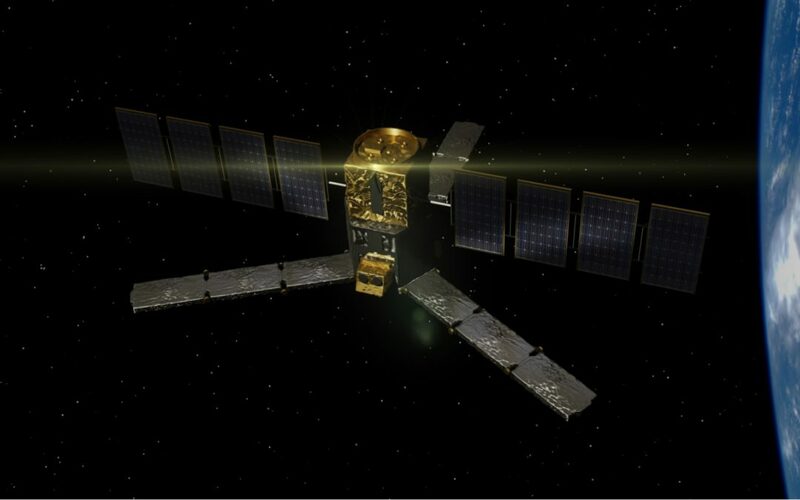 The second is a short video of a 3D model of the SMOS satellite unfolding the three arms of MIRAS.